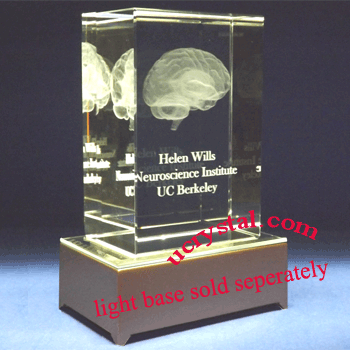 3D or 2D Selection: 2D - 2-3/8"x4"x2-3/8" 3D-1head shot(+$18.00) -2-3/8"x4"x2-3/8" 3D-2head shots(+$36.00) -2-3/8"x4"x2-3/8" 3D-3head shots(+$54.00) -2-3/8"x4"x2-3/8" 3D-1full body(+$50.00) -2-3/8"x4"x2-3/8" 3D-2full bodies(+$75.00) -2-3/8"x4"x2-3/8"
Rectangular large prism 3D photo crystal cube for 3D crystal engraving. 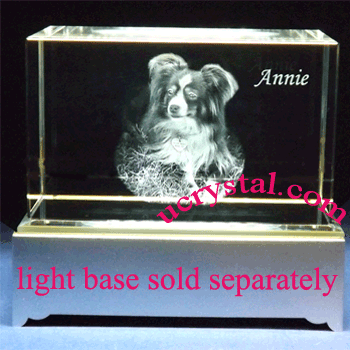 It can be used either portrait (Sugar) or landscape (Annie). 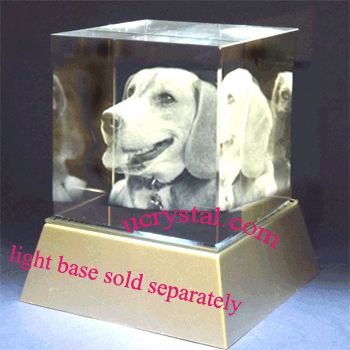 The displayed examples are from single photos, which were converted to 3D photos before being laser etched inside the 3D photo crystal cube. 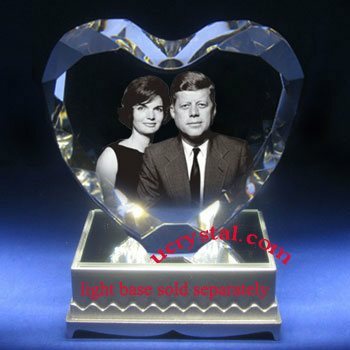 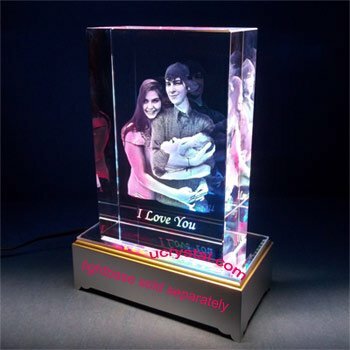 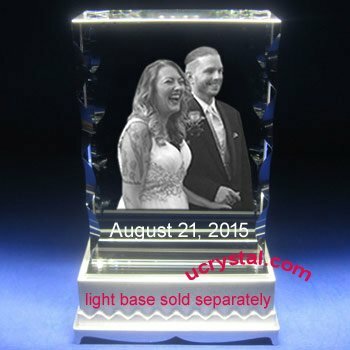 This personalized 3D photo crystal cube is not only a perfect gift for birthdays, it is also a great holiday gift such as for Christmas, Mother’s Day, or Father’s Day for your loved ones. 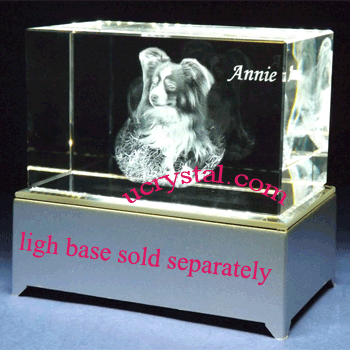 It is an excellent memorial gift for both people and pets. 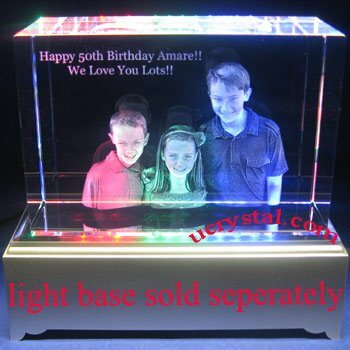 Your memories are sure to last a lifetime. 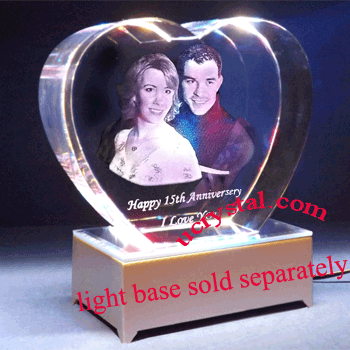 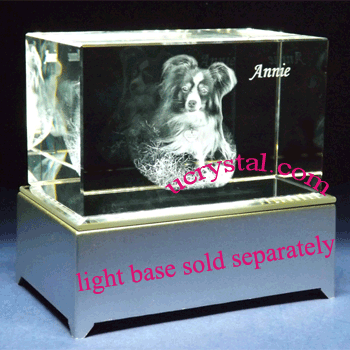 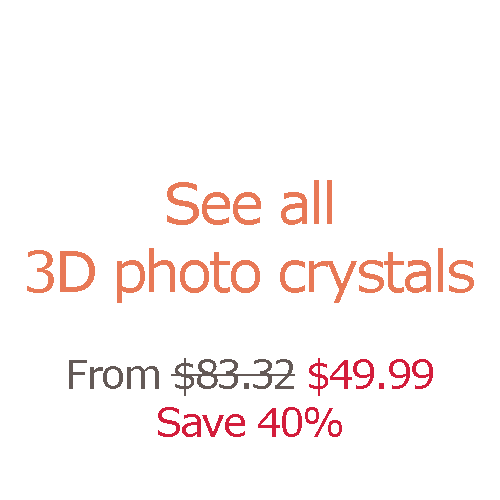 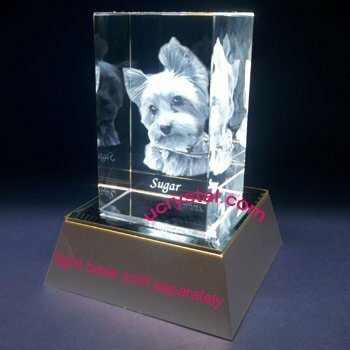 There’s a large selection of personalized 3D photo crystal gifts and 3D crystal cubes at Ucrystal. 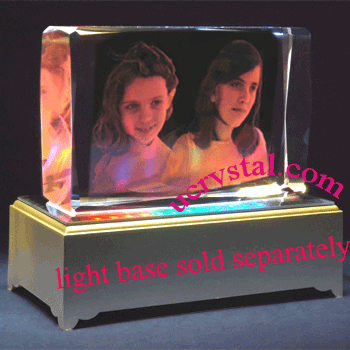 There are suitable light bases for both portrait and landscape modes. 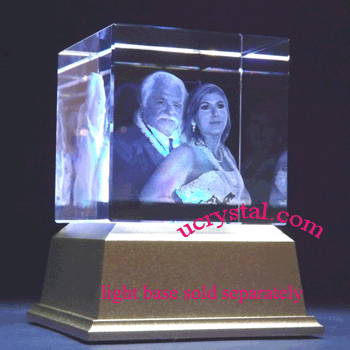 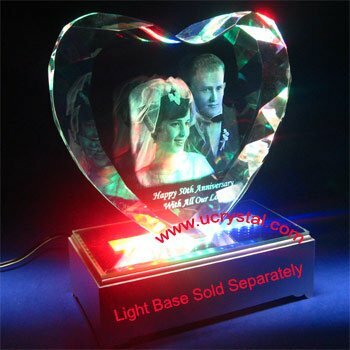 When displayed on top of a proper crystal light base, your 3D photo crystal cube will shine brighter and will become the centerpiece in your room. 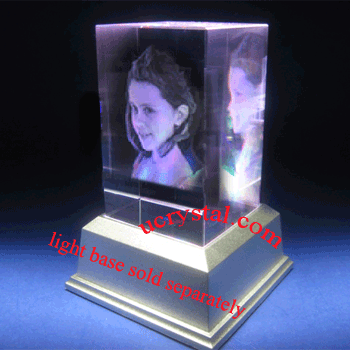 Scroll down this page to see the suitable light bases for this 3D photo crystal cube. 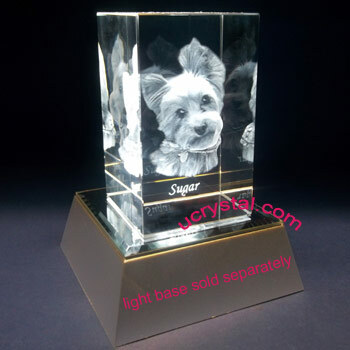 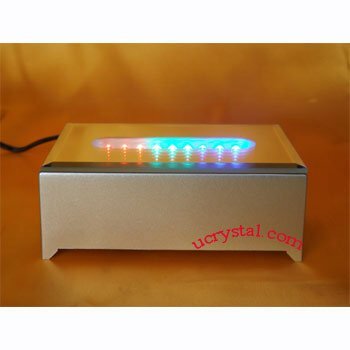 Rectangular prism 3D crystal cube for 2D or 3D laser crystal engraving. 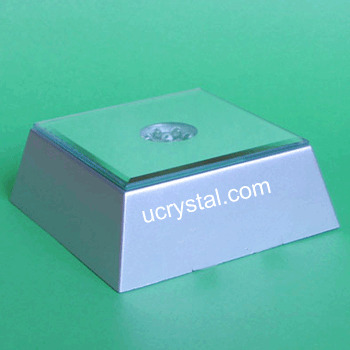 Size: 2-3/8" width x4" height x2-3/8" thickness. 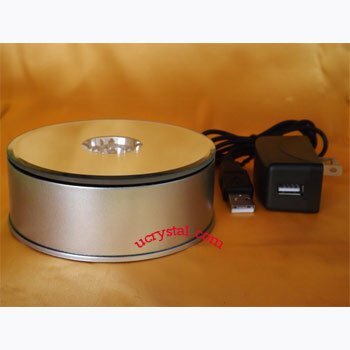 7 LED Turntable and 7 LED light base are suitable for portrait. 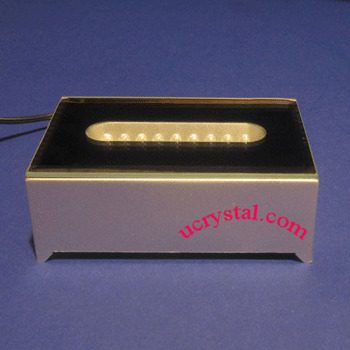 9 LED rectangular light bases are suitable for landscape.